Regular exercise can significantly cut a woman's chance of developing breast cancer, a new study shows. Researchers found that post-menopausal women who worked out for an hour a day, or just seven hours a week, could cut their chance of developing the disease by 16 per cent. The exercise had to be of moderate to vigorous intensity but could include walking, hiking, swimming and some strenuous forms of gardening to have the protective effect. Vigorous exercise has been hypothesized to reduce cancer risk for some time. However, this new study is one of the first prospective investigations to look at the importance of various intensities of exercise at different stages in an individual's life. 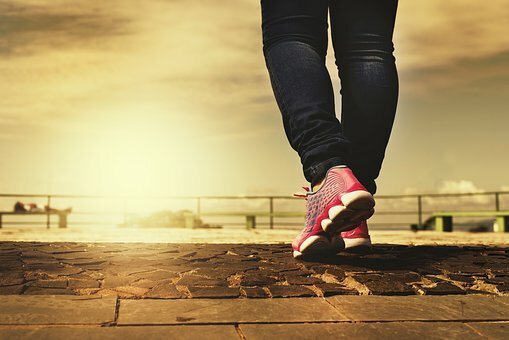 The study looked at the exercise history of more than 110,000 women who had all who had gone through the menopause, the group most at risk of developing the disease. They found that those who had exercised regularly for the last 10 years had cut their risk of developing breast cancer. Over 6 years of follow up, those women who engaged in more than 7 hours per week of moderate-to-vigorous exercise were 16% less likely to develop breast cancer than those who were inactive. However, no link was observed between breast cancer risk and physical activity in women who were active at a younger age. Peters TM, Moore SC, Gierach GL, et al. Intensity and timing of physical activity in relation to postmenopausal breast cancer risk: the prospective NIH-AARP diet and health Study. BMC cancer, 2009; 9:349.